Daytona Beach, Fla. (16 March 2018) – The Spirit of DaytonaRacing team overcame early weekend adversity to put their No. 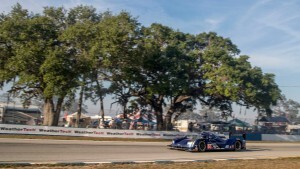 90 Cadillac DPi-V.R on the pole position for Saturday’s 66th Annual Mobil 1 Twelve Hours of Sebring presented by Advance Auto Parts, race two of the 2018 IMSA WeatherTech SportsCar Championship. 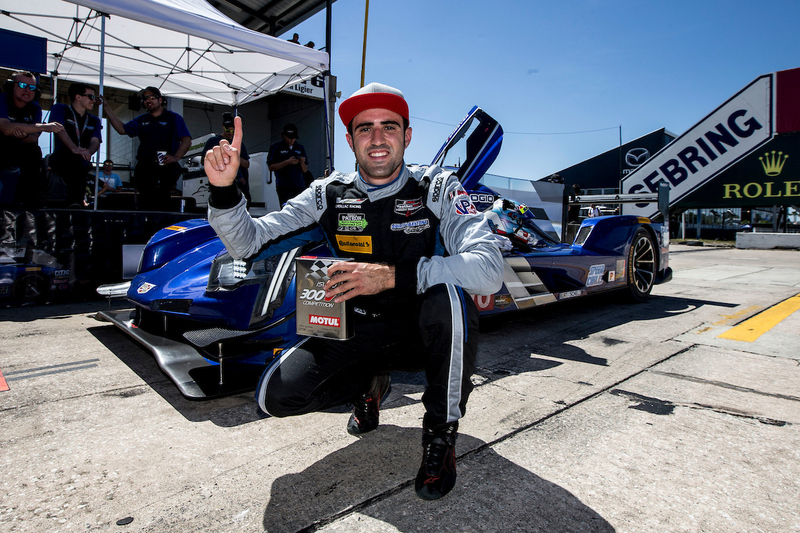 The accomplishment marked the second consecutive Sebring pole for driver Tristan Vautier, having set a new track record in his GTD run in 2017. 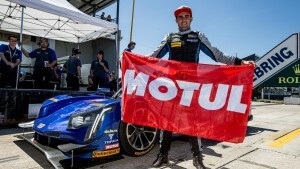 Vautier, Matt McMurry and Eddie Cheever III will head to the starting line Saturday morning with the intention of earning the team’s first Sebring victory. With 15 minutes on the qualifying clock to battle the other 15 prototypes – driven by some of the biggest names in motorsports – Vautier found his Continental Tires coming up to speed quickly, with his pole-winning (and track record-setting) lap time of 1:47.432 coming on Lap 2. The entire Spirit of Daytona team has worked hard over the span of two days to prepare the Cadillac DPi-V.R. After a solid first practice on Thursday that saw the team set the second-quick time, a precautionary engine change was performed when a data anomaly with the water pressure system was discovered. The team worked on setup in the four practice this morning and gave Vautier the tools he needed to do the rest. Team owner Troy Flis was happy to see the signature blue Spirit of Daytonacolors back on top, especially for one of the biggest races of the season. The 66th Annual Mobil 1 Twelve Hours of Sebring presented by Advance Auto Parts takes the green flag tomorrow at 10:40 a.m. EDT on FS1 and IMSA.tv.